The delicate art of herding super smart cats. 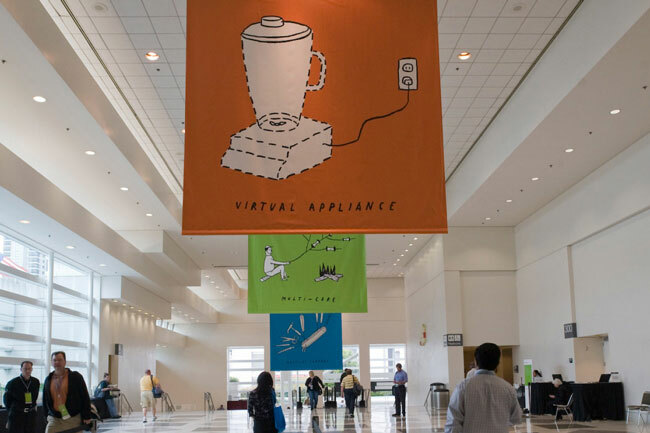 Their technology may be virtual, but there’s nothing virtual about the passion of the VMware community. 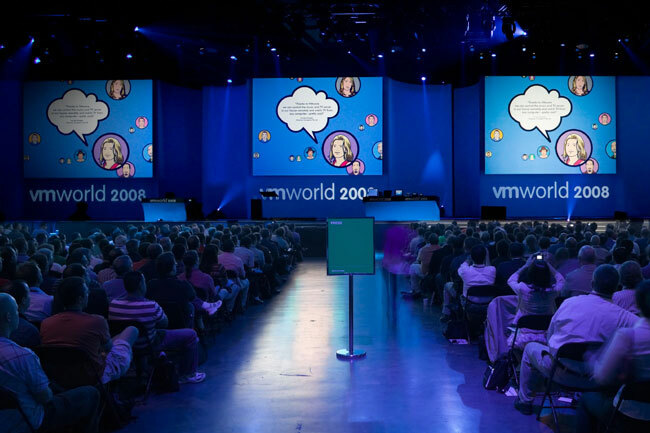 Indispensable in virtualization and for making cloud networks work, VMware people and their technology inspired fierce loyalty and an almost cult-like global following. 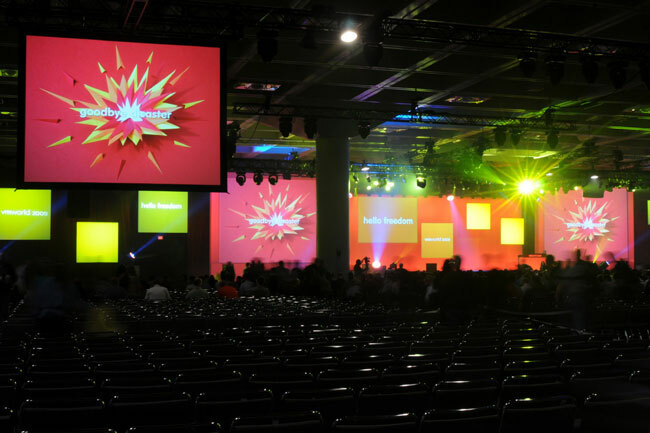 Emotive Brand was hired to capture the insane magic of the community in a yearly conclave called VMworld. 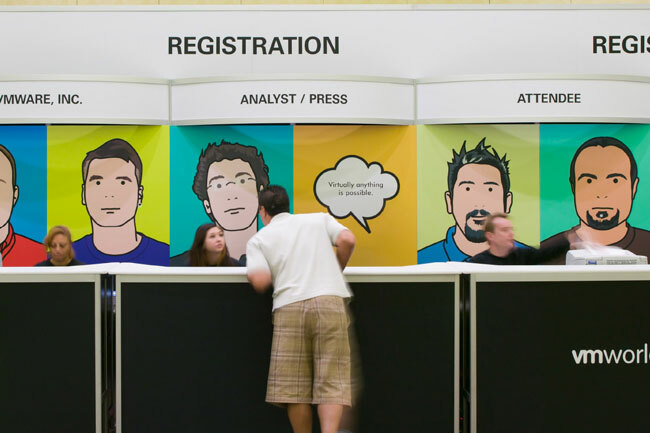 Think tens of thousands of like-minded geeks reveling in the hive-like buzz, rapt with attention, roaring with laughter, rubbing shoulders with their heroes. 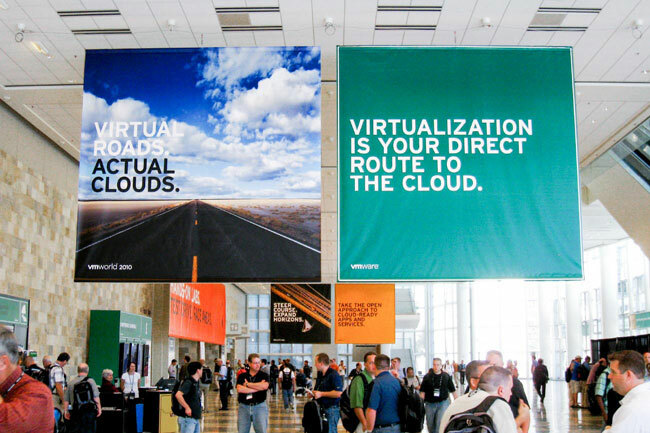 For five years we developed the strategy, messaging and design of the VMworld experience. 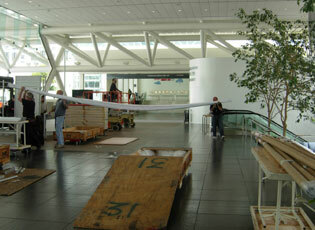 A balancing act of strategy, creativity, production and performance. It was a time of intense change. The world got used to the previously alien concept of cloud computing. 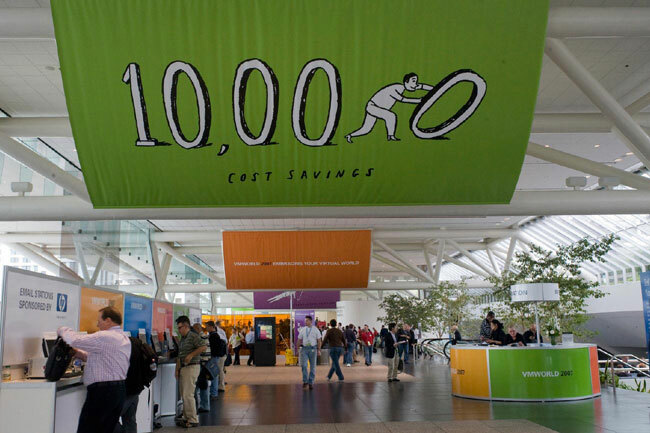 VMware transitioned from a founder to a new CEO. 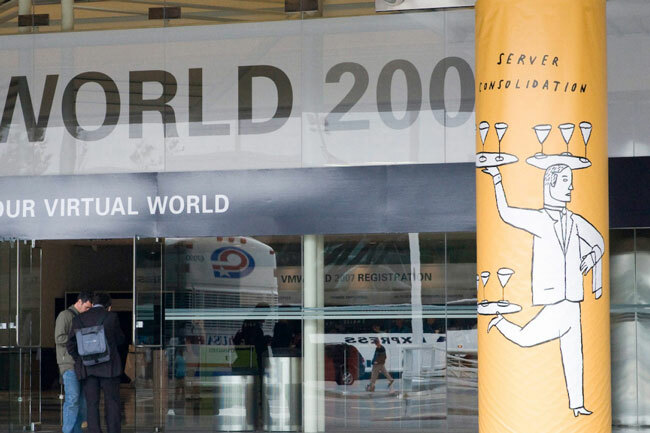 The VMworld geekfest grew from 7,000 to 22,000 attendees. 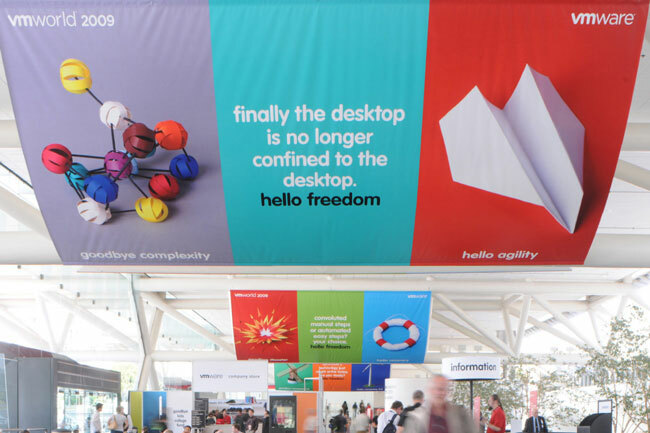 Each year, Emotive Brand rose to the challenge of making the complex more simple, more human and more fun. To get customers to love you, make them the center of attention. 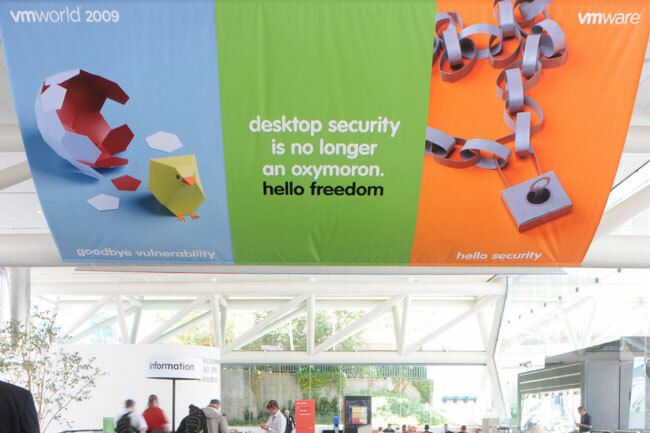 What is it about brands like VMware that inspire fierce loyalty? Respect for the people it serves. If your brand pays close attention to the customer experience at every touchpoint, it has a chance to earn lasting loyalty. We have a word for it: Empathy. How to engage the C-suite? Show them the future. Complex engineering topics are frequent subjects for corporate strategy decisions. For technology brands, the key is not how a product works, it’s what it enables. To bring executives on board, paint a compelling picture so they can buy into the project. 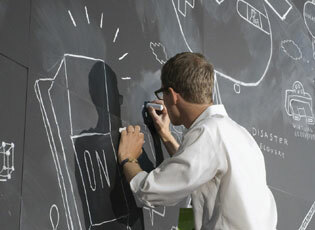 To make your brand bigger than life, start with a big idea. You’ll know you’re onto something good if it makes you slightly nervous and you wonder: Can we get away with this? 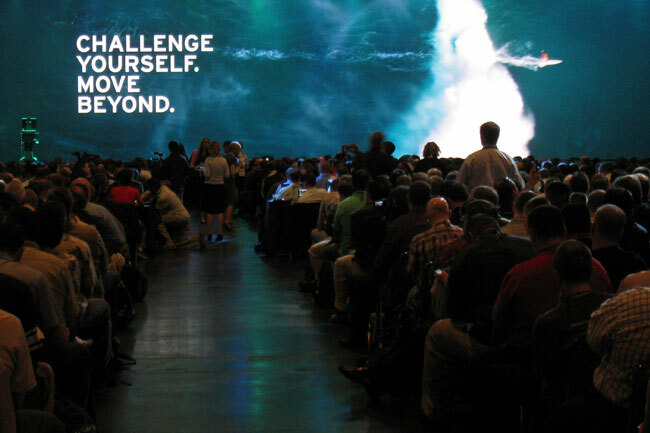 Each year, we created a completely different look for VMworld. 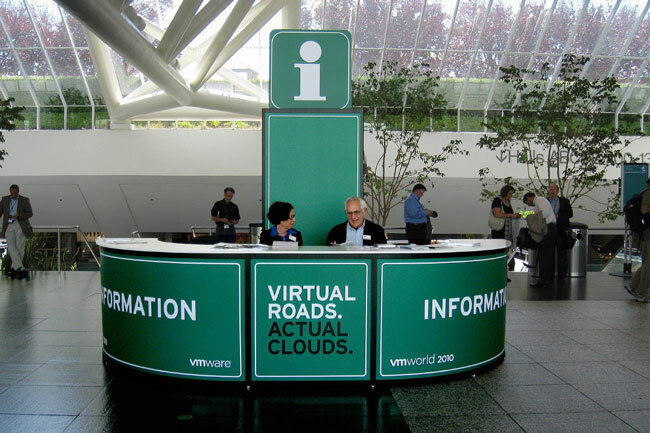 We kept it fresh and exciting so it always captured the essence of the VMware brand. Pure artistry. 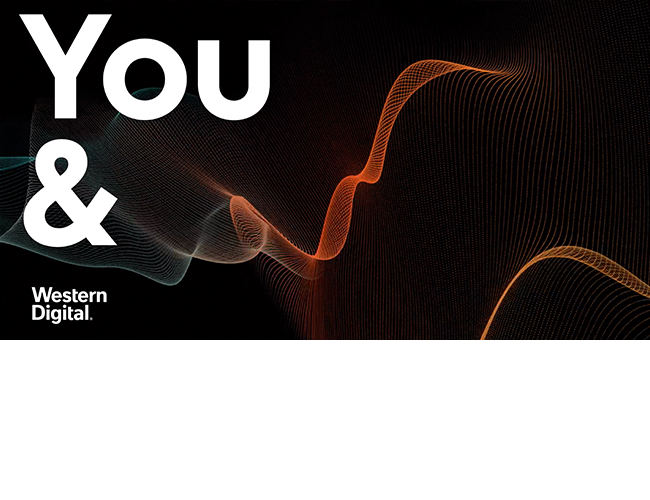 From geeks in the back room to executives in the boardroom, from media analysts to hard-working press, we provided content that appealed to diverse audiences by making them think and feel. Let’s not kid ourselves, virtualization software is nothing but complex. But smart people can break it down so anyone can get it. People are the key, which is why it makes so much sense to focus on them. With a heavyweight topic like virtual computing, it helps to bring in heavyweight creative talent. We’ve found that artists are great communicators. 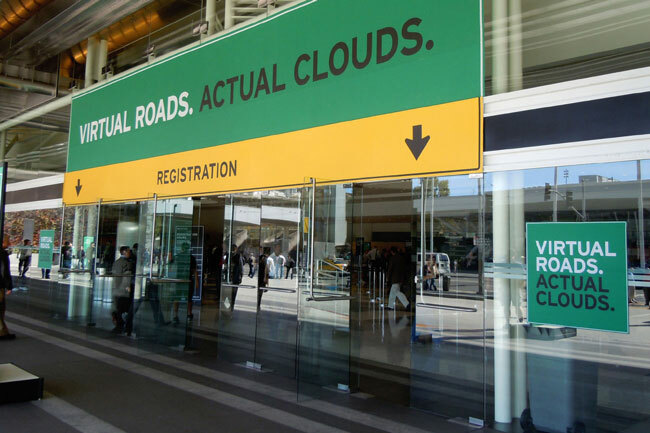 For VMworld, we developed exciting and unique creative work every year. We had to know the technology and keep up with changes to connect with the cutting edge audience. 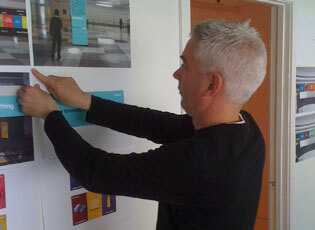 The result: yearly injections of fresh energy to invigorate the brand experience. Identify the feeling you’re trying to achieve. 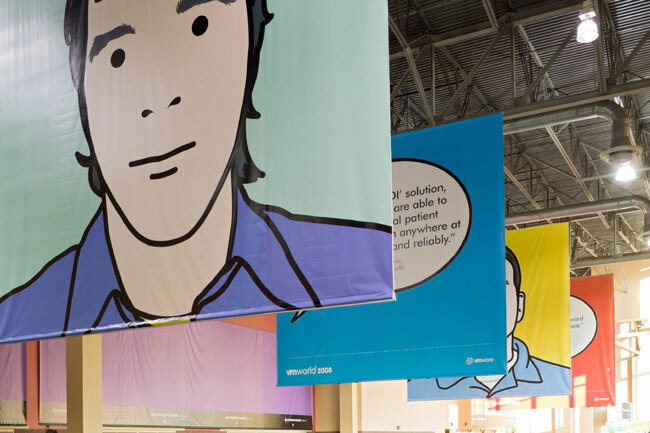 To develop smart creative themes that connect with people, we facilitated workshops to define the emotional results we hoped to create in the VMworld brand experience. Then we flat out made it happen. 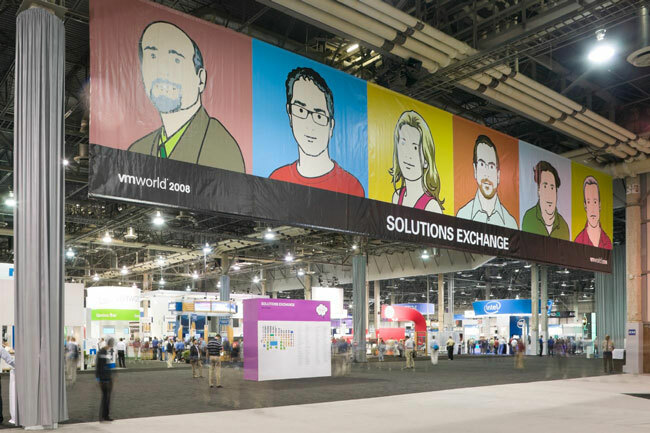 We hired terrific artists to bring ideas to life for VMworld. Their spot-on illustrations of complex technical topics conveyed meaning to people in a fresh new way. A brand needs to be remembered, long after everyone’s gone home. Planning six months in advance is one thing. 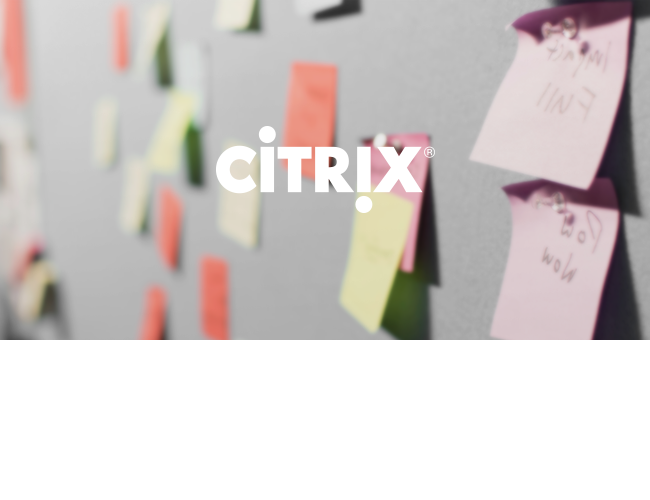 Doing it in an industry like virtualization and cloud computing that’s moving at light-speed is another thing entirely. Anticipation is everything. Don’t blink.